Rachael Brown of Grand Rapids, MI (Formerly of Kalamazoo) passed away Thursday, June 30, 2011 in Holland. Mrs. Brown was born November 30, 1923 in Kalamazoo the daughter of Albert & Gertrude (Schuur) Linneman. Rachael graduated from Kalamazoo Central High School and from Parson’s Business School in Kalamazoo before attending radio school in Chicago, IL. Rachael earned an Associate’s Degree from Central Michigan University where she worked for the Charles Park Library for seventeen years. She was an avid reader, enjoyed the political process and worked for the Gaines Township election board in many elections. Surviving are a daughter, Diana Brown, of Grand Rapids and her sisters, Grace Archer, Paula Bixler and Charlotte Remeur and many nieces and nephews. Preceding her in death was a daughter, Barbara Jean and a brother, Kenneth Linneman. Lyle Willard of Otsego, Michigan passed away Tuesday, June 28, 2011 in Kalamazoo. Lyle was born August 17, 1926 in Climax Township, Kalamazoo County, MI to Charles and Myrtle (Berger) Willard. He served his country in the U.S. Army during WW II in Japan. After returning from the service he worked as a papermaker at KVP, later becoming Crown Vantage, for over 40 years. However, Lyle’s passion was always farming which he enjoyed his entire life. In 1948 in Kalamazoo he married Janette Mills who survives. Also surviving are his children, Bob Willard, JoAnne (Don) Crane and Steve (Cheryl) Willard; 14 grandchildren; 6 great-grandchildren and several nieces and nephews. Preceding Lyle in death were 2 brothers, Lewis Willard and Duane Willard; and a grandson, Karl Grimm. Cremation has taken place. Friends may meet with the family for a memorial luncheon Saturday, July 2nd at 11:00 A.M. at the Otsego V.F.W., 124 N. Farmer St. Contributions in memory of Lyle may be made to the American Diabetes Association. Kenneth J. ‘Ken’ Dimock of Allegan, Michigan passed away June 26, 2011 at his home. Mr. Dimock was born October 17, 1951 in Kalamazoo to Morton Dimock and Lenora (Peterson) Wood. Ken was an Army Veteran serving with the 101st Airborne Div. in Viet Nam from 1971-1972 and in Germany from 1975-1977 earning the rank of E-6. He was a member of the VFW Post 3030, enjoyed golfing and spending time in nature. For many years he was employed as a truck driver retiring in 2010. Ken is survived by his mother, Lenora Wood; his son, Ken Dimock; a grandson, Ashton; his siblings, Judith Dimock, Tim (Teri) Dimock, Jo (Bruce) Maurer, Janet (Milo) Holroyd, Jim (Lauri) Dimock, Mary (Joe) Lamb; a lifelong friend, Roger Brock and several nieces and nephews. Preceding him in death were his father, Morton Dimock, a brother Michael Dimock and his step-father, William H. Wood. Friends may meet with Ken’s family Thursday from Noon until the time of service at 1:00 P.M. at the Winkel Funeral Home, Otsego, Bill Rose, Celebrant officiating. Burial will follow at Hudson Corners Cemetery, Allegan with Military Honors by VFW Post 3030, Michigan Army National Guard and the Patriot Guard. Contributions in memory of Ken may be made to Allegan County Humane Society. 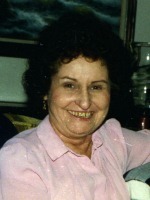 Nancy Ann Cardosa of Shelbyville, Michigan, went home to be with the Lord Friday, June 24, 2011. She was born August 16, 1961 in Muskegon to Terry and Ellen (Scott) Banta. Nancy loved the Lord and was a very active member of InTents Life Family Church in Otsego. She also loved her family and enjoyed spending time with them. On March 11, 1994 in Ionia she married Steven Douglas Cardosa, who survives. Also surviving are a step-son, Michael Cardosa of Wyoming, Michigan; two sons, Tyler Cardosa and Brandon Cardosa, both of Shelbyville; her mother, Ellen (Ron) O’Laughlin of Delton; a brother, Scott (Chris) Banta of Jenison; a sister, Lisa Bell of Big Rapids. She was preceded in death by her father. A Celebration of Nancy’s life will be held at InTents Life Family Church, 245 Court St., Otsego, Michigan on Saturday, July 2, 2011 at 11:00 A.M., Pastor Leigh Larson officiating. In lieu of flowers, contributions in memory of Nancy may be made to the InTents Life Family Church Building Fund. 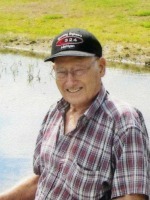 Gerrit M. “Gary” Schuiteboer of Otsego, Michigan, passed away Wednesday, June 22, 2011, at his home. Mr. Schuiteboer was born January 12, 1934 in Kalamazoo to Martin and Anna (Bussema) Schuiteboer. For many years he was employed as an auto mechanic. Gary drove stock cars at area tracks and was known as “The Flying Dutchman”. He lived in California for 30 years, returning to Otsego in 1997. Surviving are his companion of 44 years, Mary Clark; four children, Robert (Chris) Schuiteboer of Scotts, Gerrie (Jon) VanSchoick of Marcellus, Tim (Natalie) Schuiteboer of Scotts and Larry Schuiteboer of Athens; five grandchildren; two brothers, Carl (Helen) Schuiteboer of Kalamazoo and Marty (Connie) Schuiteboer of Portage; several nieces and nephews. Preceding him in death were his parents and a nephew, Mike. Friends may meet with Gary’s family from 3 to 7 P.M. Sunday at the Winkel Funeral Home, Otsego, where funeral services will be held at 11:00 A.M. Monday, Rev. Fr. Donald P. Klingler officiating. Burial will take place Tuesday at Eden Township Cemetery, Irons, Michigan. Contributions in memory of Gary may be made to Heartland Hospice – Portage. Mrs. Rosa Lee ‘Rosie’ (Piper) Williams of Plainwell, Michigan, died on Wednesday, June 22, 2011, in Kalamazoo. Rosa Lee was born January 16, 1926, in Burlington, MI, the daughter of Russell and Ula (Thayer) Olds. She was last employed at State Technical Institute, Pine Lake. Rosie was an auxiliary member of the American Legion Post #0250 of Plainwell. She enjoyed the outdoors, camping, mushrooming and her family. Preceding her in death were her husband, Robert; her close friend and companion, Mona Liford; step-daughters, Vicky Peekstok and Ann Dezoete; and her parents. Surviving are a daughter, NanLee (Mike) Palmatier of Plainwell; a grandson, Tony (Christy) Palmatier of Zeeland, MI; and great-grandchildren, Carly, Madison and Trevor Palmatier; step-children, Ginny (Hayes) Belcher of Otsego, Annette (Charles) Tiller of Kalamazoo, Jane (Bill) Yerge of Paw Paw, Kim and Nellie Liford of Kalamazoo; step-son-in-law, Bob Dezoete of Richland; and numerous step-grandchildren. Contributions in memory of Rosie may be made to the William Crispe Community House or the Salvation Army. 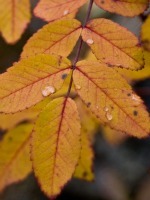 Mary F. Schaeffer of White Pigeon, Michigan, passed away Tuesday, June 21, 2011 in Sturgis. Mary was born November 6, 1932 in South Bend, IN to Leonard and Blanche (Geyer) Meert. She was a 1950 graduate of White Pigeon High School and had lived there for many years, until moving to Kalamazoo. After raising her family she attended Parsons Business School. She was employed with Lakeside Refinery in Kalamazoo, A-1 Disposal in Plainwell and Schaeffer Financial in Rockville, Maryland. Surviving are 3 children, Richard Wayne (Karen) Schaeffer of Rockville, MD, Michael Lee (Cindy) Schaeffer of White Pigeon and Theresa Lynn Schaeffer of Newberry; 5 granddaughters; 3 step-grandchildren and 4 great-grandchildren; her siblings, Eugene (Kathy) Meert, of Plainwell, Shirley (Don) Griffin, of Hastings, Nancy Moulder, of Otsego, Larry (Kathy) Meert, of Plainwell, Judy (Jon) Nieuwenhuis of Plainwell and Sally (Lynn) Lukins of Portage; a sister-in-law, Marilyn Meert of Plainwell; and a brother-in-law, Lamar Bloss of Grand Rapids; several nieces and nephews. Preceding her in death were her parents; 2 brothers, Jack Meert and Billy Meert; a sister, Betty Bloss; and a brother-in-law, Larry Moulder. Friends may meet with the family from 5 to 8 P.M. Wednesday (today) and from 1-2 P.M. Thursday at the Winkel Funeral Home, Otsego, where funeral services will be held at 2:00 P.M. Thursday June 23, 2011, Rev. Dan Minor officiating. Burial will follow at Hillside Cemetery, Plainwell. Contributions in memory of Mary may be made to Parchment United Methodist Church. LeRoy A. Dunklee of Otsego, Michigan, passed away Friday, June 17, 2011 at Life Care Center in Plainwell. LeRoy was born February 15, 1961 in Plainwell to Vernon and Mary (Adams) Dunklee and had been a lifelong resident of the area. He was a friend to everyone who knew him. LeRoy had worked many odd jobs for area businesses and friends, he enjoyed fishing, animals (especially feeding the squirrels), riding his bike and his friends. Surviving are four sisters, Kathy Plotts, Shirley (Joe) Baldwin, Joyce (Dale) Cooper and Chris Quigley; and many nieces and nephews. LeRoy was preceded in death by his parents and by his brother Vernon “Jr.” Dunklee. Cremation has taken place. Friends may meet with the family for a memorial service on Saturday, July 2, 2011 at 2 p.m. at the Otsego V.F.W. Post #3030. His family would like to thank and acknowledge his special friends; Shirley Foster, Lisa Brown and the staff who cared for LeRoy at Life Care Center of Plainwell. Contributions in memory of LeRoy may be made to Wings of Hope Hospice. Harry L. Rex of Allegan, Michigan (formerly of Otsego) went to be with the Lord Monday, June 13, 2011 in Allegan. Mr. Rex was born December 1, 1928 in Otsego to Walter and Evelyn (Tyler) Rex and had been a lifelong resident of the area. Harry had worked for Pickett and Schreur and for Bill Smith Sand and Gravel retiring about 20 years ago. He enjoyed fishing, hunting, gardening, playing cards and wintering in Florida with his wife Peggy. On July 26, 1947 in Bryan, Ohio he was married to Ann ‘Peggy’ Reed, who preceded him in death in 2010. Surviving are four children, Diane (John) Glessner, Mike (Margaret) Rex, Denise (Dave) Volker and Mark (Helen) Rex; 12 grandchildren, 20 great-grandchildren; 2 brothers, Howard Rex and Glen Rex; many nieces and nephews. In addition to his wife Peggy also preceding him in death were his parents, a great-granddaughter, Taylor Nicole Glessner, a great-grandson Troy Alexander Lee Bailey, a sister Marguerite and brothers Robert and Raymond. Friends may meet with the family from 2-5 P.M. Thursday at the Winkel Funeral Home, Otsego and Friday from 9:30 A.M. until the time of service at 10:30 A.M. at the United Methodist Church of Otsego, Pastor Joe Shaler officiating. Burial will follow at Mountain Home Cemetery, Otsego. Contributions in memory of Harry may be made to Wings Home, Wings of Hope Hospice or the Otsego United Methodist Church. 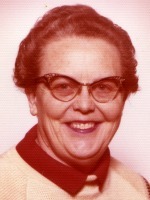 Ruth S. Kruithoff of Otsego, Michigan passed away peacefully Sunday, June 12, 2011 to be with her Lord. Ruth was born December 10, 1929 in Manila, Arkansas to Rollo and Doris Fleeman. Ruth enjoyed cooking for her family and spending time with her grandchildren, she also enjoyed many motorcycle trips and rides with her husband Arnie. On February 14, 1993 in Otsego she married Arnold ‘Arnie’ Kruithoff who survives. Also surviving are her sons, Duane (Shirley) Kalaward of Charlotte and Morrie (Rebecca) Kaleward of Plainwell; stepchildren, Bruce (Joey) Kruithoff of Kalamazoo, Roger (Annie) Kruithoff of Otsego, Tom Kruithoff of Otsego and Barbara (Mike) Duff of Plainwell; many grandchildren and great grandchildren; a sister Billy Schultz of Plainwell and many nieces and nephews. Friends may meet with her family from 5 to 8 P.M. Wednesday at the Winkel Funeral Home, Otsego, where services will be held at 11:00 A.M. Thursday, with Celebrant Bill Rose officiating. Cremation will follow with burial of ashes at Mt. Home Cemetery in Otsego at a later date. Memorial Donations in memory of Ruth may be left to Christian Neighbors.